BOISE, Idaho — An Idaho Senate Committee that approved a bill allowing the Bible to be used for reference purposes in public school classrooms has unanimously decided to alter the text of the legislation to ensure that the law can’t be interpreted as permitting the teaching of Creation in the classroom. As previously reported, S.B. 1321 was recently introduced by the Senate Education Committee at the urging of Sen. Cheryl Nuxoll, R-Cottonwood, who also works as a high school teacher. “The Bible is expressly permitted to be used in Idaho public schools for reference purposes to further the study of literature, comparative religion, English and foreign languages, United States and world history, comparative government, law, philosophy, ethics, astronomy, biology, geology, world geography, archaeology, music, sociology, and other topics of study where an understanding of the Bible may be useful or relevant,” the bill read as introduced. However, following nearly two hours of debate on Friday, the Committee unanimously agreed to add a clarifier to the bill to outline that it also applies to other religious literature. “It only calls out the Bible. 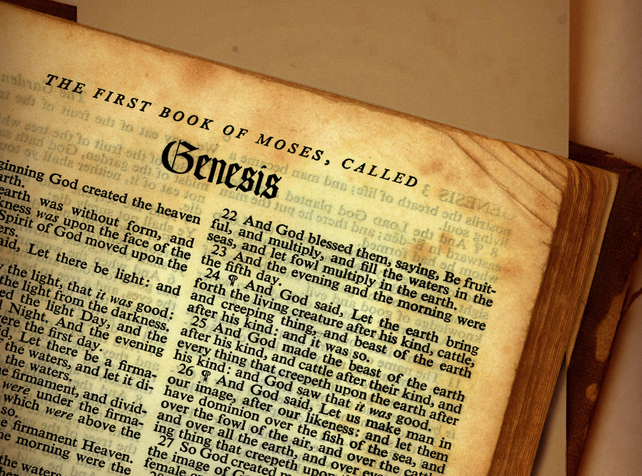 There are other great religious texts … so why not the Koran? Why not the Torah?” asked Sen. Cherie Buckner-Webb, D-Boise, according to the Spokesman-Review. At the prompting of Sen. Todd Lakey, R-Nampa, the committee also decided to strike “astronomy, biology, geology” from the text of the proposal so that it cannot be interpreted as allowing the teaching of Creation in public school. Nuxoll, who initially defended the measure, stating that it had been reviewed and approved by three religious liberty organizations, was among those ultimately in favor of the changes. “All of them agree that this proposed section of code does indeed meet both state and federal constitutional muster,” she said. Some, such as Sen. Michelle Stennett, D-Ketchum, expressed skepticism as to why the bill was needed at all as the Bible is already allowed to be used as reference material in schools, but agreed to the proposed amendments. As previously reported, last June, the Idaho Republican Party passed a similar resolution calling for support for using the Bible alongside public school curriculum. Resolution 2015-P20 was submitted by Idaho County Chairman Marge Arnzen, and uses state history as the basis of the motion. “[I]n 1782, the U.S. Congress voted this resolution: ‘The Congress of the United States recommends and approves the Holy Bible for use in all schools,’ and authorized a loan of money to help the printing and distribution of 10,000 copies to be made available to the public primarily for public schools,’” it noted. “[T]he use of the Bible for literary and historic value is consistent with the 1st amendment of the U.S. Constitution, and the U.S. Supreme Court in the 1963 case of Abington School District v. Schempp declared that the Bible is worth studying for its literary qualities and its influence on history,” the resolution further outlined.